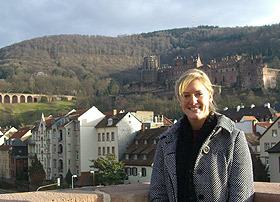 Backes [pictured left] arrived in Mannheim, Germany on Jan. 13 to attend a two-week German language course at Mannheim University. Following that program, she moved to Mosbach, a small town about two hours from Frankfurt, to begin her studies at Berufsakademie Mosbach. 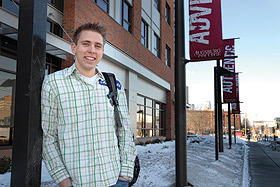 Though he is not a fan of the harsh Minnesota winter, Birkhold said he has been enjoying life in Minneapolis and at Augsburg. He has gone to the Mall of America, seen a Timberwolves game, and is participating in intramural sports including soccer.